As we begin the countdown to Christmas, the penultimate month of 2018 provided further proof that the rise of people analytics continues to gather pace. Hot on the heels of October’s acquisition of Glint by LinkedIn came the news that SAP had paid a whopping $8 billion to buy Qualtrics (read Josh Bersin’s analysis of the deal here). I fully expect further consolidation in our space as we move into 2019. On the subject of next year, my list of speaking engagements for 2019 continues to grow (see list at end of article). My first major conference is the People Analytics & Future of Work Conference in San Francisco (PAFOW) on 31st January and 1st February, which I’ll once again be co-chairing with Al Adamsen along with a stellar list of speakers. Click here and use my discount code DG200 by 31st December to get a $200 discount. This month’s selections are grouped under the following seven topics: Getting started, building capability, the role of the people analytics leader, ethics and privacy, emerging data sources and techniques, data literacy and for the analyst. There’s also another classic article from the vault as well as the best podcast and video of the month. Enjoy and if you do, please do share with your network. Despite the significant growth in adoption of people analytics, many people professionals still lack the confidence and skills to make the most of their workforce data. As the preamble to the latest in a growing number of superb resources from the CIPD on people analytics explains, this guide is designed to help all people professionals of any level learn the basics and improve their confidence and capability when using data. Sam Hill and Ed Houghton have produced an excellent primer and, as Figure 1 demonstrates, also contributed to the debate on whether the field should be called HR, Workforce or People Analytics. As one who prefers the latter, this image is particularly pleasing. How should you run a people analytics project to maximise the opportunity for success? In this excellent guide, Jonathan Ferrar outlines the Eight Step Model for Purposeful Analytics (see Figure 2) Nigel Guenole, Sheri Feinzig and he developed for the landmark 'The Power of People' book. 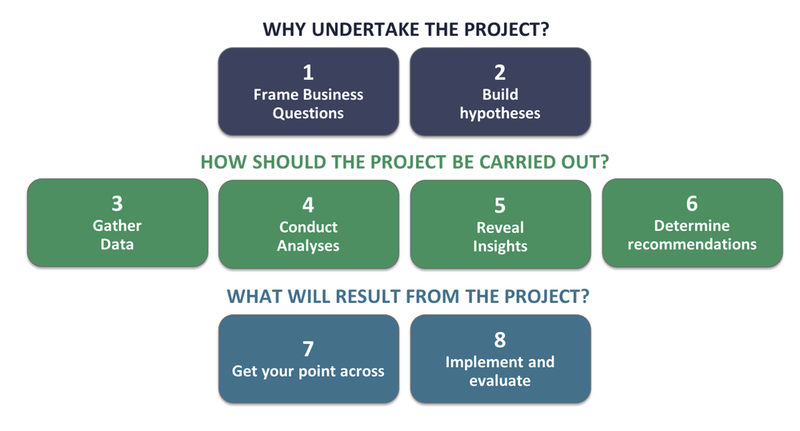 A summary of each step is provided with perhaps the key message being that each project always starting with a clearly defined business question. Having good business acumen is a critical element of delivering value with people analytics, but what does this mean? As Tracey Smith describes, good business acumen essentially means “having the experience and wisdom to see the bigger picture and to be able to evaluate (in the case of analytics) whether a project is worth doing”. Tracey then proceeds to provide some helpful guidance on how to establish whether a project has value as well as some practical steps to consider around areas such as privacy and security and the all- important question as to whether the organisation can/will act on the findings. What is the secret of a good HR dashboard? That is the question pondered by David Creelman in his article. He argues that instead of continually falling into the trap of redefining the right metrics, tirelessly cleaning data and inventing new visualisations we should instead base our dashboards on questions. Creelman goes on to provide an example (see Figure 3) emphasising the need to compose your dashboard with the right questions, as a precursor to then using data to provide answers. Thomas Rasmussen shares my view that the majority of maturity models for people analytics are incomplete as they mostly focus on techniques rather than far more important aspects such as business outcomes. 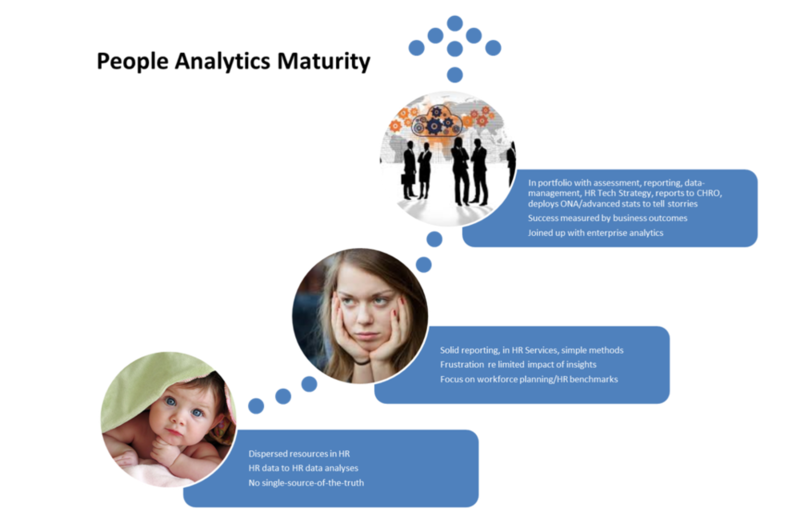 The model Thomas presents in this article is much more rooted in reality (see Figure 4) as the happy toddlers become grumpy teenagers before making the final transition to a mature people analytics team. "Once CHROs have had a top-notch People Analytics shop, they can't imagine not having one"
A really helpful article by David Morgan, who leads people analytics at Micron, on the key skills required by data scientists in the HR field. David describes the nuances involved in being a data scientist in HR as opposed to other fields e.g. being able to ask questions about people problems, tackling issues around small sample sizes etc. There is also a helpful explanation of the difference between a data scientist and an I/O Psychologist (having access to both these skills is highly desirable in people analytics). Finally, there are some tips on how to hire the 'best' HR data scientist. The role of the people analytics leader is absolutely pivotal to the success - or otherwise – of creating, building and sustaining people analytics within an organisation. Lexy Martin’s analysis draws out the unique set of skills required to thrive in this pioneering and challenging role, the reporting line (ideally direct to the CHRO), how to harness technology, drive change and create value. Fascinating analysis by McKinsey on the evolution of the Chief Analytics Officer role over time and how the dominant required persona of the 'Catalyst' has now emerged (see Figure 5). The article is a must-read for any Head of People Analytics as the opportunities and challenges outlined are very similar. The authors explain that the ‘Catalyst’ helps redefine the leadership role for adopting analytics and AI at scale. Five key areas where Catalysts lead the charge and facilitate change are outlined including the need to act as an agent of change to navigate organisational barriers to analytics adoption. People analytics leader Elaine Mahon describes how she is delivering positive change at the Office for National Statistics through four key activities with the easy to remember ABCD acronym. These are: Adopt an Agile approach, Build senior level engagement, Create tangible actions and Deploy the right skills. An inspiring read and it’s good to see people analytics thriving in the public sector. Earlier this year, Insight222 (where I am a board advisor) worked with 15 Global500 member companies to co-create an ethics charter and guiding set of principles for the use of people data (see Figure 6). Dirk Petersen’s article describes the background and delivery of the project and six recommendations to help firms develop ethically sound people analytics. These include the need to i) align key stakeholders, and ii) demonstrate employee value. As Dirk concludes, getting management to take data ethics seriously is paramount to avoid a potentially fatal ‘Cambridge Analytica’ moment. 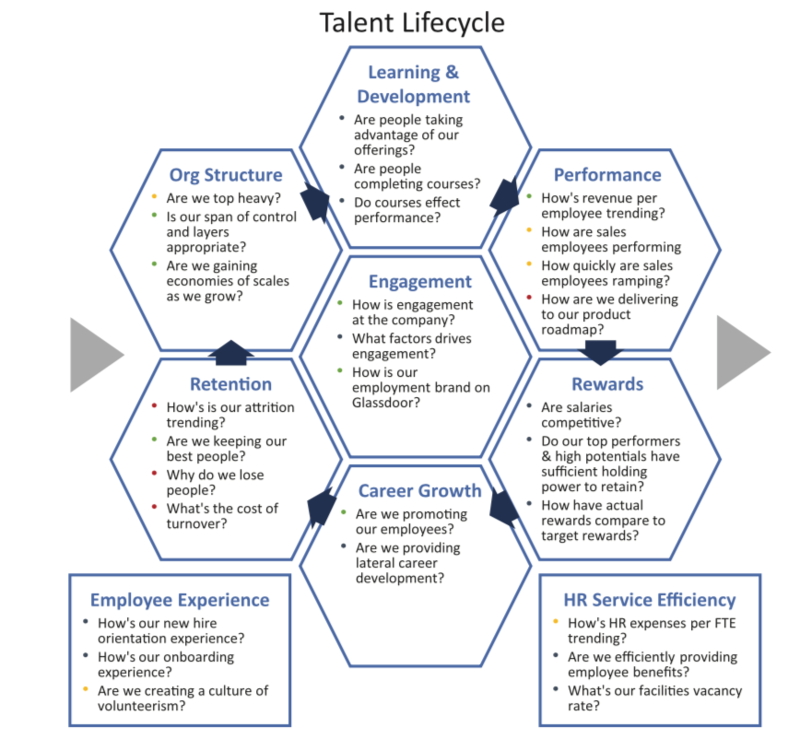 An essential study by Nigel Guenole and Sheri Feinzig into the business case for AI in HR, which builds on the insights and learnings of IBM’s HR function in its pioneering use of AI across the employee journey. Featuring a Foreword by CHRO Diane Gherson, the report also provides practical advice on the five steps to get started (see Figure 7), the skills you will need, and important issues about fairness and the broader societal effects of AI on jobs. The paper is part research, part case study and part how-to guide, which put together makes it an indispensable read. FRANK VAN DEN BRINK AND NIENKE BLOEM - The experience paradigm: Customer or Employee first? Don’t be fooled by the title of this article as Frank Van Den Brink, Chief Employee Experience Officer at ABN Amro, and CX expert Nienke Bloem outline why focusing on the customer AND employee experience is critical. Methodologies are outlined to drive excellence in both CX and EX encompassing strategy, design, measurement, adoption and culture. An example of employee journey mapping as undertaken by Frank and his team at ABN Amro is highlighted in Figure 8 below. "To get Customer Experience right, organisations should also start beginning to think about their Employee Experience in a more strategic way"
Regular readers of these monthly collections will know that I regularly feature the growing number of resources available on ONA. This article by Eva Kyndt focuses on how ONA can transform Learning and Development into a more evidence-based function. Eva explains that social interactions are pivotal in learning, which supports her argument that ONA can be used to tailor and optimise L&D interventions. A highly insightful piece. For more on ONA including several case studies, please read my recently updated The Role of ONA in People Analytics primer. 2017’s excellent High-Impact People Analytics study by Madhura Chakrabarti for Bersin by Deloitte found that the biggest predictor of success in people analytics was the development of an organisational culture for data-driven decision making. A key element of this is to improve the data literacy of HR professionals. I featured a number of articles on this theme in my October collection and here are two more to digest. First, Tomas Chamorro-Premuzic outlines three ways to build a data-driven team emphasising the need to foster critical thinking allied to training and hiring for the right skills. Meanwhile, Thomas Redman explains the need to think like a data scientist as one of his five concepts to helping your team be more data-driven. A couple of articles for the more technically-minded. First, Hendrik Feddersen argues that partly due to the limitations of Excel to handle large amounts of data, budding HR analysts should instead learn how to use R, offering a number of compelling reasons why he believes this to be the case. Max Blumberg examines the lack of use of control groups and regression to the mean in people analytics and how this threatens to undermine the evidence of business value created by the field. The ‘classic article’ this month is actually a two-part piece by Morten Kamp Andersen, which presents the case for and the case against people analytics being under the auspices of the HR department. The articles provoked a healthy discussion four years ago, and the question of where the people analytics function should sit is a debate that continues to rage today. Which side of the fence do you fall down upon? Is people analytics stymied within the HR organisation or will its potential be unfulfilled if it is located within a group function focused on consumer analytics? I expect this debate to run and run. I’ve seen at first-hand at the Talent Intelligence Experience shows in Paris, Sydney and London this year the thirst amongst HR professionals for LinkedIn’s new Talent Insights product. Eric Owski leads the team that has developed this product and his discussion with Al Adamsen provides a compelling account of the value it provides. Equally riveting is the conversation between Amit Mohindra, who formerly led people analytics at Apple, and John Sumser on the always listenable HR Examiner radio show. PATRICK COOLEN - Creating a fact-based HR organisation at ABN AMRO | BRYDIE LEAR - How do you build credibility for People Analytics? Taking the earlier theme of the role of the people analytics leader, I was delighted to recently interview two of the best around for myHRfuture in Patrick Coolen and Brydie Lear. In the first video, Patrick Coolen describes how he has catalysed the growth of a data-driven HR function at ABN AMRO. In the second video (below), Brydie Lear outlines the advantages of reporting directly into the CHRO as she does as Global Head of People Analytics at ING.